See, this is what I dealt with yesterday. 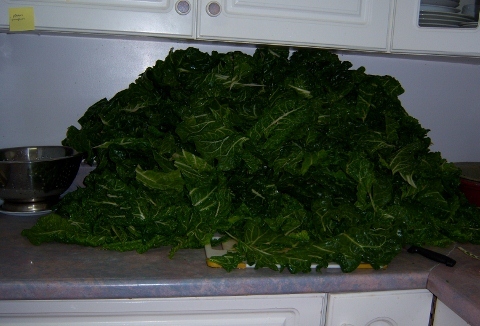 A mountain of chard. Doesn’t it look impressive? This is after washing the chard and taking out the center stalks. 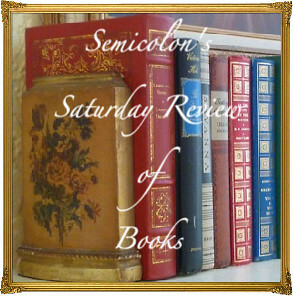 When I saw the pile, I felt like crawling into a little corner and hiding. 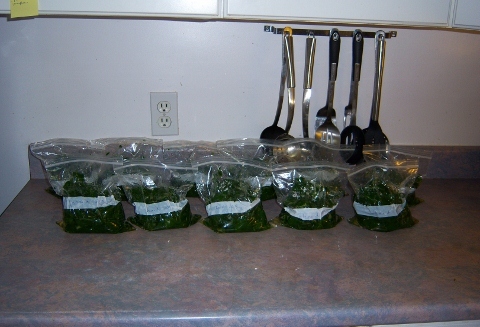 Less than two hours later, however, it was all chopped, microwave-blanched, and packaged. That huge mountain had shrunk down to eleven small meal-sized packages. The same chard, after chopping and blanching. Today I did it again, going from another huge mountain of chard to 11 small packages. We also ate chard chips today, and now we have no more chard in the garden. Yippee! Was all this work worth it? Store prices for this amount of chard are significant, especially in the winter. Most other greens that can easily be obtained in the winter contain a lot of pesticides. So, yes, financially and health-wise it was worth it. Furthermore, it is good for the children to see me preserve food, and it’s good for me to do so. Good food takes time, and so does harvesting. In our society, it is so easy to lose track of that fact and to become a helpless consumer rather than an empowered producer. Even more importantly, it’s so easy to forget that we depend on God for food when we don’t need to consider seeds, soil, weeds, and weather, but merely need to drive to the store with our credit card. 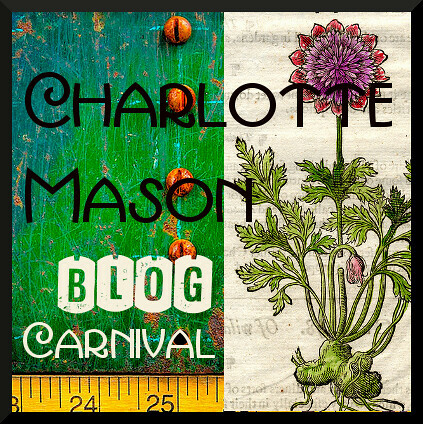 Linked to Encourage One Another Wednesday, Women Living Well Wednesdays, Works For Me Wednesday , Raising Homemakers, Homesteader Blog Carnival, and Frugal Friday. That is a lot of chard. Just think of all the vitamins and minerals you just saved for later! JoAnn, you might like chard as well. Some varieties taste terrible, but others are wonderful. We’ve found delicious chard for our garden.